Electricity makes up the largest portion of the monthly household utility bills for the (1) average New Zealander. Most Genesis customers have an advanced or smart meter. At Genesis we regularly read your smart meter using remote technology which means we provide an accurate bill every month, and don't have to make estimates. If you still have a traditional analogue or digital meter, reading your own electricity meter keeps you in charge of your own electricity usage. If you have a smart meter, you are only billed for the amount of electricity you use each month because it eliminates ‘estimate' bills. This means less chance of a high or low bill due to estimates. Understanding your electricity usage also helps you choose the right electricity plan to get the most power for your money. It's simple to read your own meter once you know how. What type of meter do I have? First, you need to find your meter. It's usually located on an outside wall of the house, or indoors next to the fuse box. Advanced, or smart meters, are the newest metering technology. The benefits of a smart meter over a digital or analogue meter is they're totally hassle-free. If you have a smart meter, when it's time to generate a bill, the meter automatically sends a smart meter reading back to Genesis. Your electricity usage is tracked online in My Account or on the Genesis Mobile App. 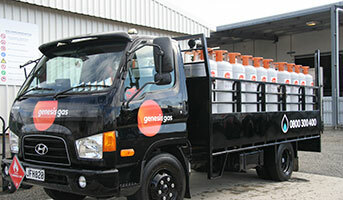 The Genesis Mobile App allows you to check usage, pay your electricity bills or order more LPG. Customers with Digital and Analogue meters can also access many of these features. Tracking your usage each day, month or year, can help you manage your energy spend. You shouldn't ever need to manually read them, but you can learn how to read a smart meter here. Meters with rolling dials are straightforward. Just read the black numbers left to right. Ignore the last ‘1/10' number. They usually come after the decimal point, or are in a different colour. If you have a meter with clock dials. Write down the corresponding figures from left to right as you read them. If the pointer is between two numbers, note the lower number, except when the pointer is between 0 and 9 in which case, read 9. When the pointer is on a number, you need to check the arm of the clock immediately to the right. If the pointer on the right-hand clock is between 9 and 0 then write down the lower number for the clock to the left. If the pointer is between 0 and 1 then write down the higher number for the clock to the left. What do the numbers mean on my meter? Electricity is priced per kilowatt-hour [kWh], often called a ‘unit'. 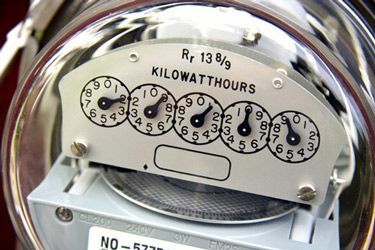 The numbers on your meter are the amount of kWh used. 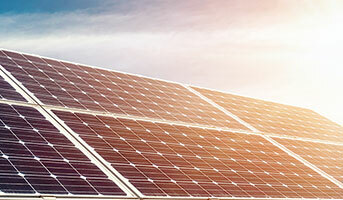 A kWh is equal to 1000 watts used over a one-hour period. For example 10 x 100 watt light bulbs switched on for one hour. An average New Zealand household will use 8000 kWh of power per year, or around 22 kWh per day. This changes depending on where you are in the country, but a two-person household in Auckland will spend around (2) $200 on power a month. A standard washing machine will use 115 kWh power and cost around $64 a year to run (3) (on a warm wash). In comparison, a full (4) desktop computer can use up to 600 kWh per year (5) (when you add in the modem, printer and speakers) assuming it is used for 8 hours each day). This could bring the cost per year to around $150. A laptop on the other hand uses far less electricity: 150 – 300 kWh per year and closer to $40 per year. At Genesis, we have several electricity pricing plans to suit your household's usage. When a Genesis meter reader takes a reading, you get an ‘actual' bill. On the months a meter reader doesn't visit, or you don't send us your meter reading, then you receive an 'estimated' bill. An ‘actual' bill is one that charges you for the exact amount of electricity you've used that month, plus any adjustment that may be required to the previous estimate. 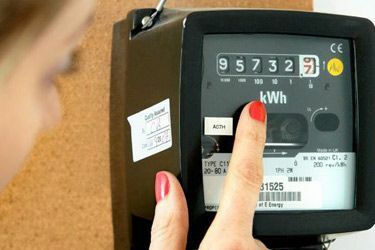 An ‘estimate' bill estimates your electricity usage based on your past meter readings and applies the current price of electricity. If your electricity usage changes quite a bit from month to month, getting too many ‘estimated' bill reads could result in larger bill fluctuations. 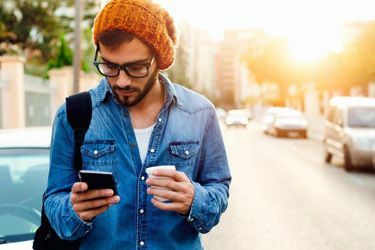 You could end up paying too much (or too little) which, could result in an unexpected adjustment when your next ‘actual' bill arrives. If you receive an estimate bill then taking your own meter reading and supplying that to us can remove some of this uncertainty. When is my meter usually read? We aim to read your electricity meter every two months. However, if you live rurally or have restrictions such as alarms or dogs, then it can be less frequent. This makes reading your own meter more important. If you prefer not to read your own meter, or your meter is tricky for us to access, you can arrange for a Genesis meter reader to visit at a time that suits you. Submit your meter reading to Genesis here and via the Genesis Mobile App. Your bill will normally be generated within five working days , unless we need to discuss it with you first. What is LPG Bottled Gas? How does it work and is it right for me? In New Zealand, we tend to rely on two types of gas for our household energy needs: natural gas and liquid petroleum gas (LPG).